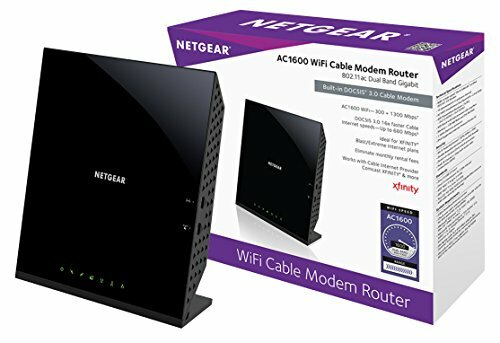 The Netgear C6350 wifi modem is esentially the CM500 modem with built in AC1600 router, the ideal 2-in-1 modem for people with internet speed plans over >300mbps. This model provides dual band wifi with the latest wireless AC router technology, 1 gigabit ethernet port and up to 680mbps modem speeds. We recommend using the CM400/500/600 + stand alone router.